Treat yourself to the royal treatment with breathtaking fall foliage coupled with a backdrop of Colorado canyons. Canon City has a variety of entertainment for you to relax and enjoy your weekend. We have music concerts, luxury cabins with breath taking views, all sorts of delicious restaurants, a scenic train ride, the world famous Royal Gorge Bridge, plus our Holy Cross Winery and their Harvest Wine Festival on September 23rd and 24th! 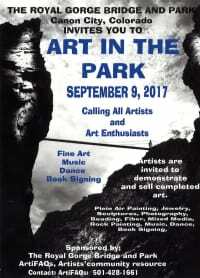 The Royal gorge Bridge and Park invites you to the ART IN THE PARK event on Saturday, September 9th! Enjoy the beautiful view of the historic Royal Gorge Bridge. This magnificent bridge is holding a Art in the Park event including the Plaza Theater, Gondolas ride, Visitor cCenter and Tommy Knocker Land! Take the day, stroll across the bridge and enjoy music, sculptures, photography, beading, fiber, mixed media dance and book signing. There will be nothing like it in all Colorado! 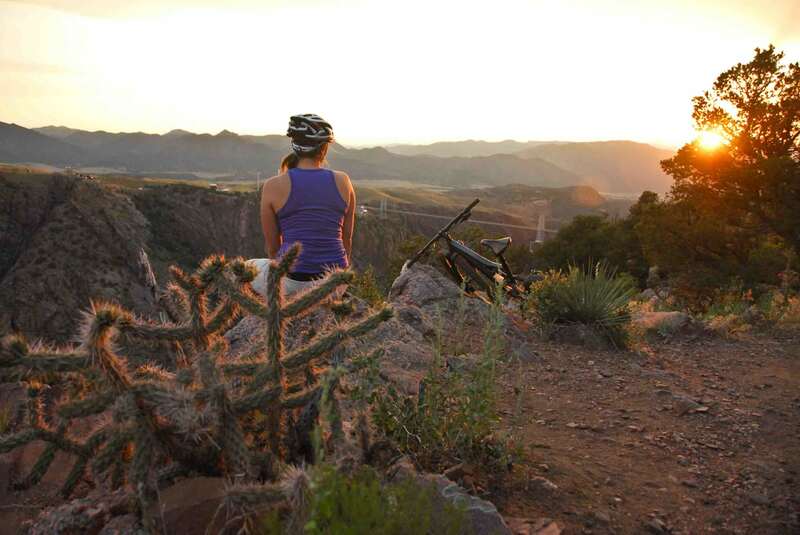 Echo Canyon's Cabins and Glamping is the perfect home away from home without the hassles! Glamping, glamorous camping, and luxury cabins will give you the view without the sacrifices of leaving technology behind. The cabins contain a large spa-style bathroom, galley kitchen and a double sided gas fireplace you can enjoy from the comfort of the living room or from the outside patio while enjoy the mountain view and Colorado sunset. Cabins have central air cooling and heating, unlimited WiFI and two flat screen TVs. The Winery at Holy Cross Abbey, is busy making preparations for their 16th annual Harvest Festival on Saturday, September 23rd from 10:00-6:00, and on Sunday, September 24th from 10:00-5:00 on the winery grounds at 3011 East US Highway 50. The fest is free and open to the public. The event features wine, live music, food, chili roasting, arts and crafts vendors and a fun zone for kids. If you come to Cañon City on a different day you can still enjoy the award winning wines on the Holy Cross Winery patio. 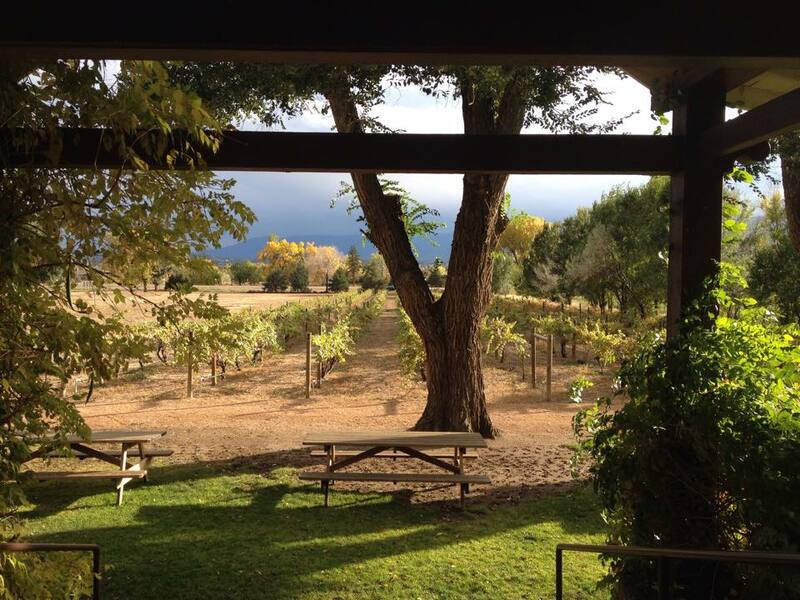 Enjoy the stunning view of the mountains and a grape vineyard on the Holy Cross Winery's outside patio! Winery at the Holy Cross Abbey. Entertainment in the Park features all types of entertainment for all to enjoy! Month End concert will be Tuesday, August 29th presenting Atomic Fireballs w/ Beer Garden and the Year End concert will be held Friday, September 1st presenting Inman Brothers w/ Beer Garden. There is no admission fee. Summer time is coming to a close, so join us and enjoy the food, music and fun. Just a great time awaits! The Gold Belt Scenic Byway is a nice day trip in the area. You can start at Phantom Canyon Road going north towards Cripple Creek. You will see tunnels, bridges and marvelous fall foliage with breathtaking canyons. Enjoy a nice lunch at Cripple Creek then head back down on Shelf Road. Both of these roads are historic since Phantom Canyone road was the railroad passage and Shelf Road was used as the Stage coach passage back in the late 1880's. There is nothing like our country roads!